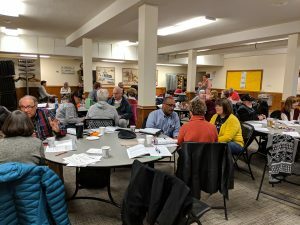 Over 50 People from Seven States Attended Trainings in March! Two Building an Inclusive Church Toolkit Trainings were held in March, one in Uniontown, OH, and the second in Des Moines, IA. 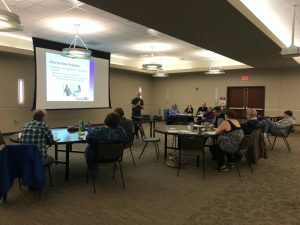 About 15 people attended the training in Ohio, and almost 40 the training in Des Moines! Click on the pictures below for larger versions, and check out the Building an Inclusive Church Toolkit here. And click here for more ideas on how to use the resources that AllianceQ has collected for you. Mark Johnston in action at the Building an Inclusive Church Toolkit Training in Uniontown, OH. Thank you to Harmony Springs Christian Church for hosting this event! Practicing One-to-One conversations at the Building an Inclusive Church Toolkit Training in Des Moines, IA. Thank you to Downtown Disciples for hosting this event and to Capital Hill Lutheran Church for providing space!